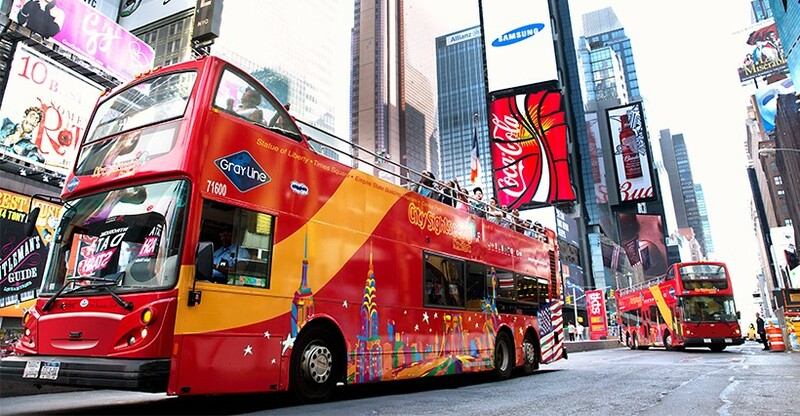 Unlimited hop-on, hop off access on the best double-decker bus tour of Downtown Manhattan. 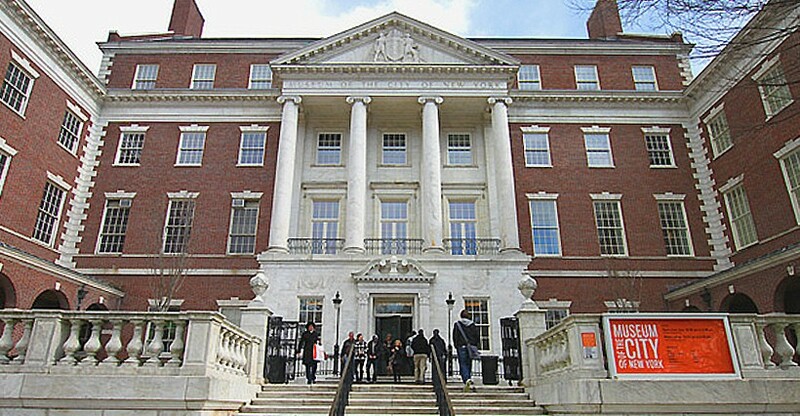 PLUS admission to one top New York City attraction of your choice! 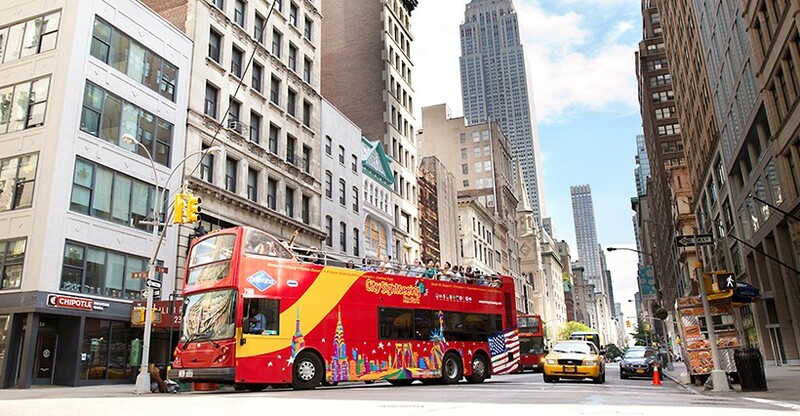 Discover the sights and attractions that make New York City a premier destination for travellers from all around the globe with the double-decker Downtown Tour Plus One package! Start your adventure in the heart of Manhattan and let our professional guides show you the most popular landmarks while sharing their insider knowledge of New York’s iconic neighborhoods. 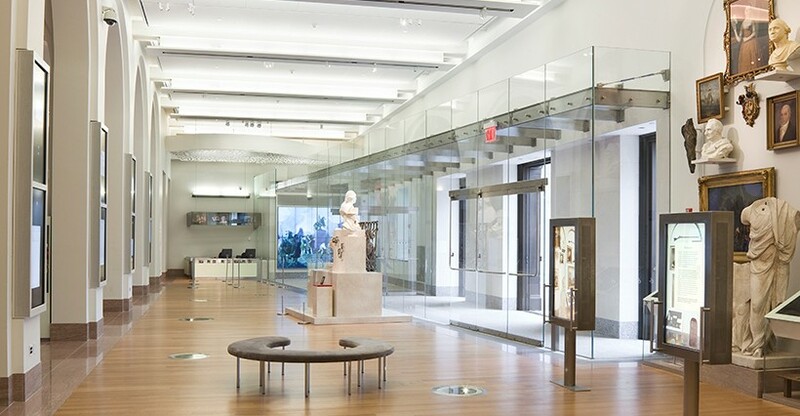 There’s so much to see and do in Lower Manhattan! Sit back and relax while taking in stunning double-decker views of Times Square, the Empire State Building, Rockefeller Center, One World Trade Center, the Brooklyn Bridge, the Statue of Liberty and more! Want to explore an attraction up close? No problem! Just hop-off at any of the 21 stops conveniently located near the most popular sights. From here, your options are limitless! 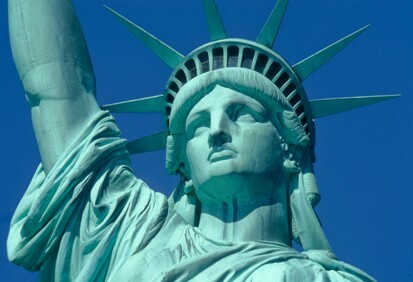 Take a break for lunch in Little Italy, shop for unique treasures in SoHo or Greenwich Village, or hang out in Battery Park and take iconic photos of Lady Liberty and Ellis Island! When you’re ready to continue your tour, just hop back on the next bus and be on your way. It’s really that simple! 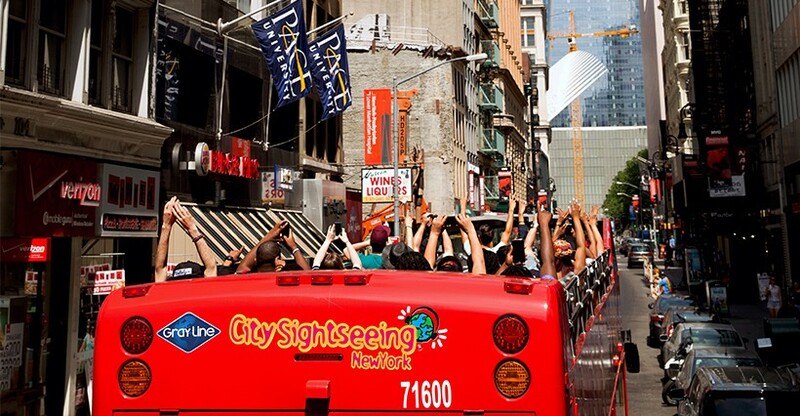 Create a truly memorable New York City experience with your Downtown Tour + 1 Attraction pass. Book your tour today to begin an incredible adventure! After you complete your online purchase, you will be redirected to a page with your live ticket. This ticket includes admission for both the Downtown Bus Tour and your chosen attraction. Additionally, an order confirmation with a link to this ticket will be emailed to you within two hours. Simply print or take a picture of the QR code on the ticket and you’re ready to either board the bus at any designated stop or gain entry to your selected attraction. Your Pass is activated the first time it is scanned. Your Downtown Bus Tour ticket is valid for 24 consecutive hours, starting the first time your ticket is scanned on the bus. You have an additional 14 days to visit your chosen +1 attraction. Do I have to choose my attraction right now? Nope! 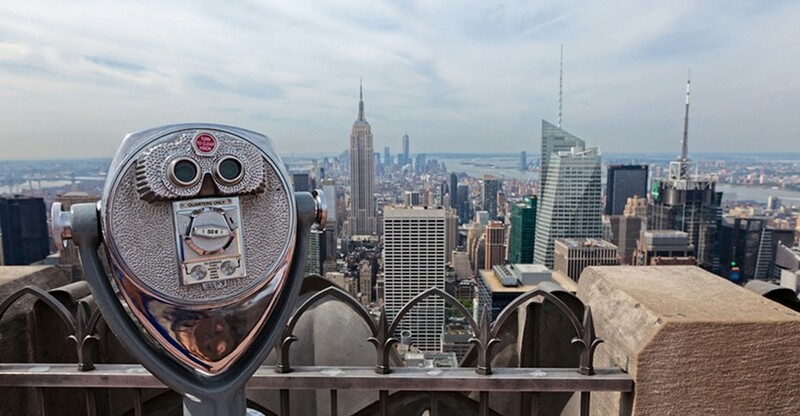 You can choose which attraction you want to see while out and about in New York. Your live ticket will be simply be scanned for admission at any of the included attractions listed. With unlimited hop-on, hop-off access you can hop off the bus at any of the designated tour stops along the route, spend time walking around or exploring attractions, and get back on the bus at the same stop or any of the other designated stops listed on our map. You can do this an unlimited number of times within the specified hours for each tour. For a full list of tour stops, view our map. You can not hop off at locations other than our designated hop-on, hop-off tour stops. How long does the Downtown bus tours take? 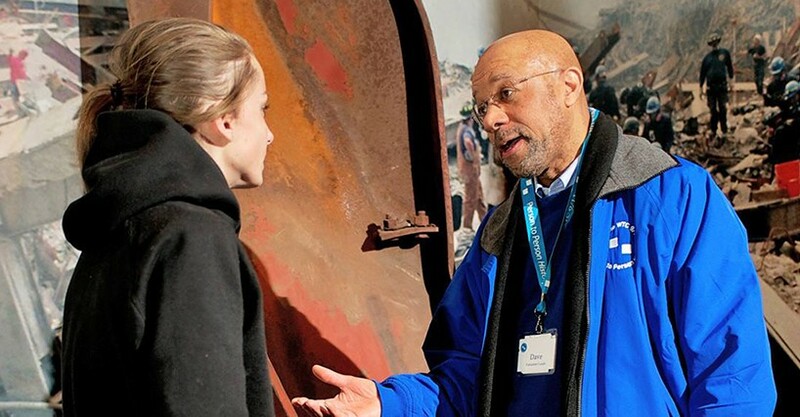 The Downtown Tour has 21 unique hop-off locations conveniently located near top attractions like Times Square, the Empire State Building, Rockefeller Center and much more.